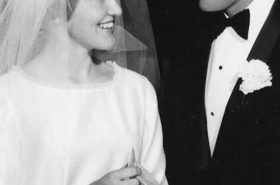 Fifty years have gone by since Kneaders Bakery and Cafe Founder Colleen Worthington married her sweetheart, Gary, in Salt Lake City. After six children, 23 grandchildren, two great-grandchildren and two more on the way, Colleen is still madly in love with Gary. 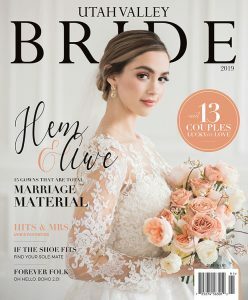 “What I remember most about my wedding was feeling so grateful for my family and for the man I loved who I was going to spend the rest of my life with,” Colleen says. 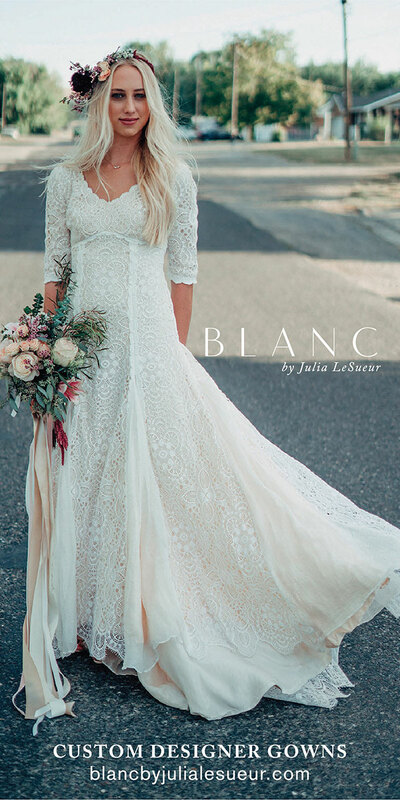 Every bride should not only feel beautiful on her wedding day, but should have a memorable celebration. Creating a warm and welcoming atmosphere at the reception is key in creating a beautiful experience for both the bride and groom and their guests. 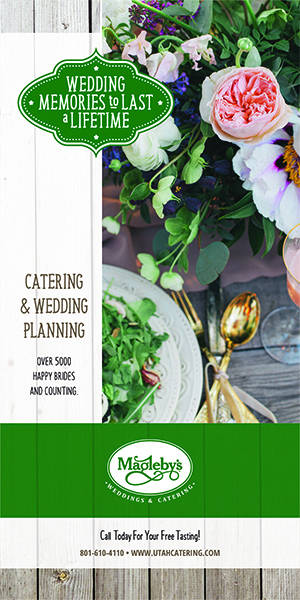 As the consultant to hundreds of weddings over the past 50 years, and as a buyer for Kneaders’ accessories and home decor, Colleen has developed a keen eye for the changing style trends across the market, which include creative food presentations for events. 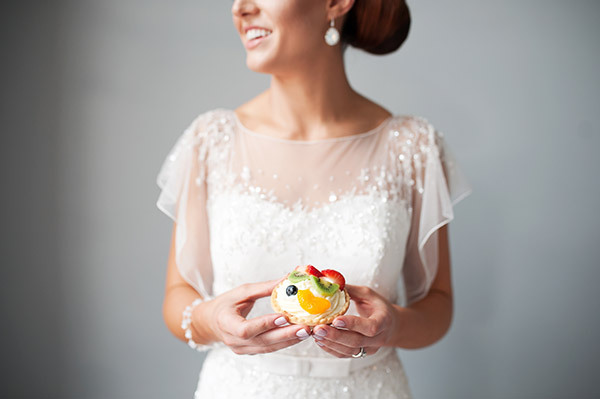 Colleen sat down with Utah Valley Bride to share her top tips for presenting food in three different trending themes across Utah for a memorable guest experience. Each tip below offers a suggested theme, an optional color palette recommendation, and creative presentation ideas to make your day spectacular! Use slices of tree trunks to add height to your buffet table. Spacing your pillars out so that one tree trunk slice on the table, met with its tall neighbor of three or four slices, will bring interest and texture to your table. Tree trunks make fabulous round cake and pastry stands. Use stacks of small and medium crate boxes layered to display food at different heights. Use Kerr jars of different heights filled with water and baby’s breath, and place them between your wood pillars or crate boxes for an airy and delicate rustic look. For a beautiful food setting, layer several different kinds of seasonal pies (a very rustic, woodsy food) on the serving table in the crates or on the wood slices. Self-serve makes it easy and only requires one person to keep the area clean and stocked up. Using weathered pallets that have a grayed, distressed look make great backdrops for food. Creating mini-palettes out of larger crates make the perfect tabletop stands for brightly colored pastries, like Kneaders’ eclairs and mini-tarts. Paired with a self-serve Italian soda bar with mini milk jugs or canning jars as the glasses, your guests will walk away with a unique memory. Write your menu and serving directions on chalkboards. Old chalkboards can be repainted for pennies. To temper your freshly painted chalkboard for a more farmhouse look, lay the chalk on its side and cover the entire board with a thin layer of chalk. To get an aged look, wipe off the top layer with a wet hand towel and let it dry. A handful of wildflowers in clear cylinder vases, placed throughout the table, gives a charming farmhouse look on the table (Colleen’s favorite flower for this look is the white hydrangea in chunky vases). Garden weddings are centered around any outdoor theme that simulates a garden. Whether on a beach, at a park, in a backyard or in a formal garden, there is a welcoming feel about flowers and plants being the focal point of an event theme. Every garden is different! So take a look at the garden for your reception and play off the colors and features in that space as you plan for your table settings and event accents. Match your decor to the garden surrounding. A waterfall makes for an elegant theme, while a fire pit lends a more casual feel to your event. Be sure to have your food served in the shadiest part of the garden. 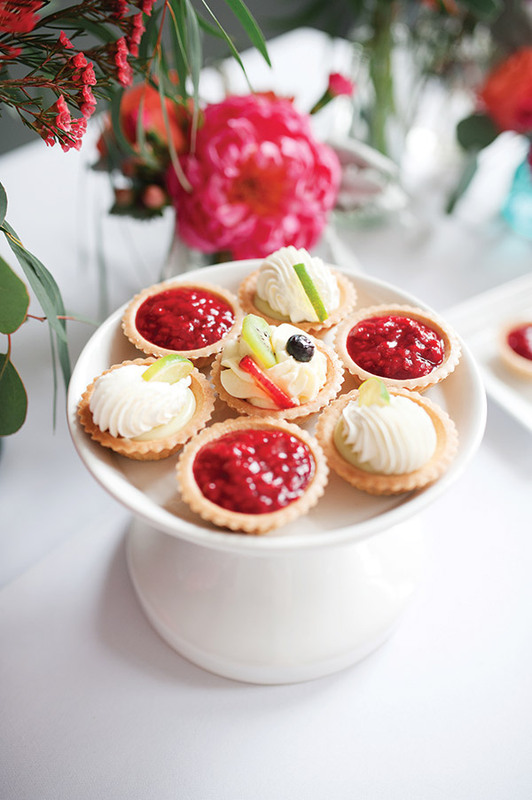 If going for a more elegant presentation, a tiered cake buffet is a perfect refreshment. Mix fresh strawberry and raspberry cakes, chocolate cream cakes with dark chocolate drizzle, elegant vanilla cakes with caramel layers, rich cheesecakes and angel food cake with a fresh blueberry or raspberry reduction. 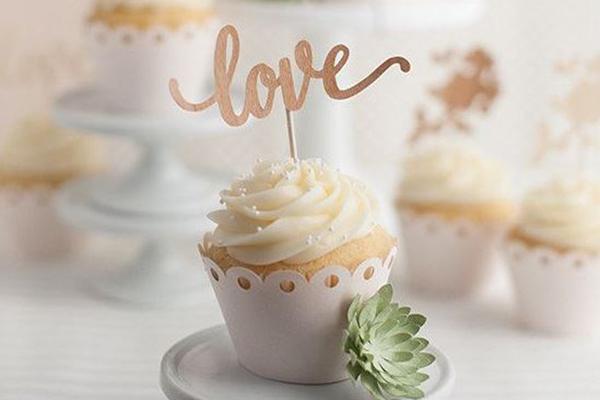 The more variety of cakes, the better you can ensure your guests will have options they enjoy. Water in glasses loaded with ice and lemon wedges makes a flawless drink. For something more casual and fun, create a DIY S’mores bar. Fill large jars on the primary food table with marshmallows, graham crackers, and chocolate bars. 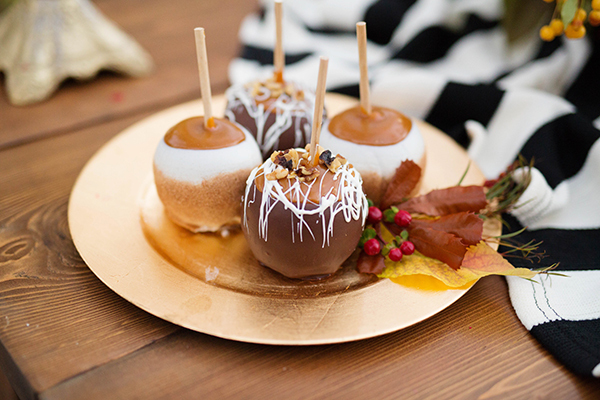 Provide roasting sticks and a fire pit and your guests are sure to enjoy a delicious and memorable treat. 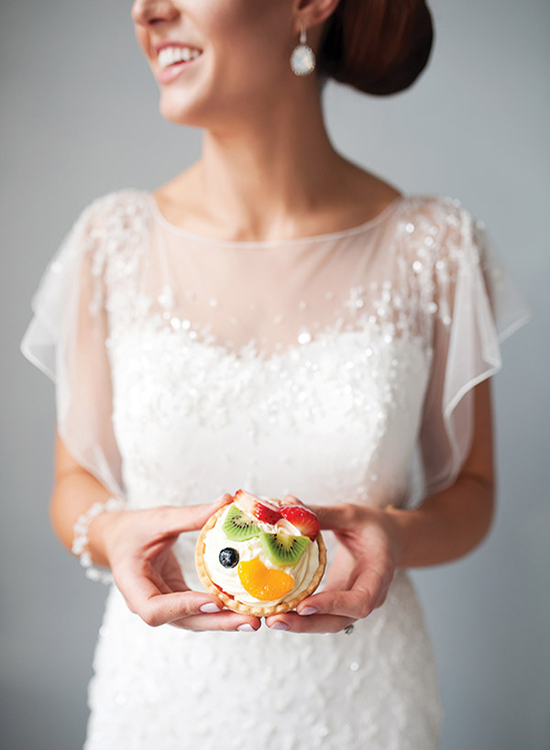 For a fun wedding in the park, consider serving Kneaders Chunky Cinnamon French Toast. Loaded with whipped topping, caramel sauce, and fresh strawberries, this breakfast treat will make your guests full and happy. Use rustic barrels with wooden slabs laid on top and between the barrels for serving tables. This fun presentation will make a unique food experience for your attendees.